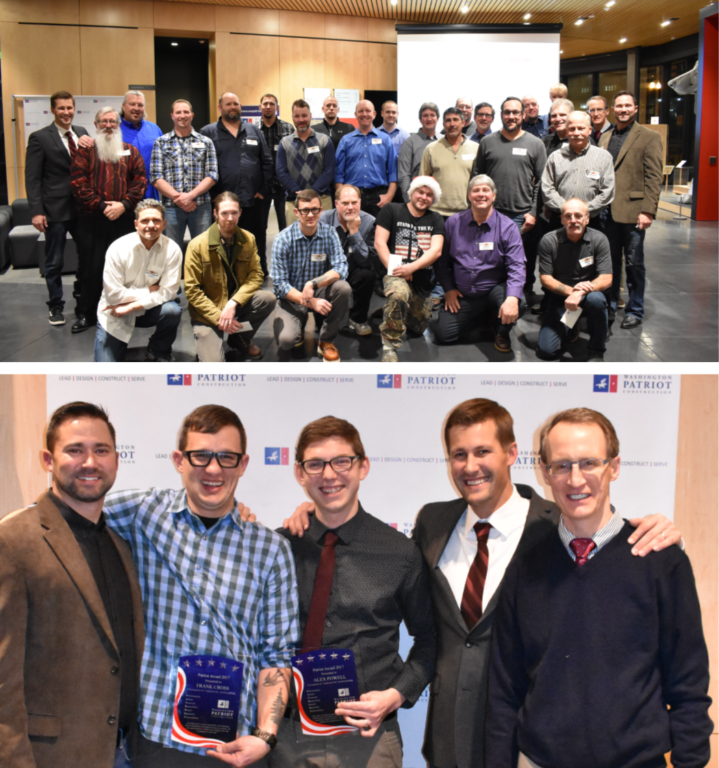 The WA Patriot team celebrated another successful year by hosting a Holiday Dinner Party at the Tacoma Art Museum on Saturday, December 9. The night’s festivities included the announcement of the 2017 PATRIOT Award winners Frank Cross and Alex Powell. These two team members were nominated for displaying great leadership qualities and for their ability to earn the trust and respect from their project teams. We also announced Safety Award winners, which included all craft personnel who remained accident-free all year. Congratulations to our PATRIOT and SAFETY award winners, and thanks to all for making 2017 another great year!